First go! 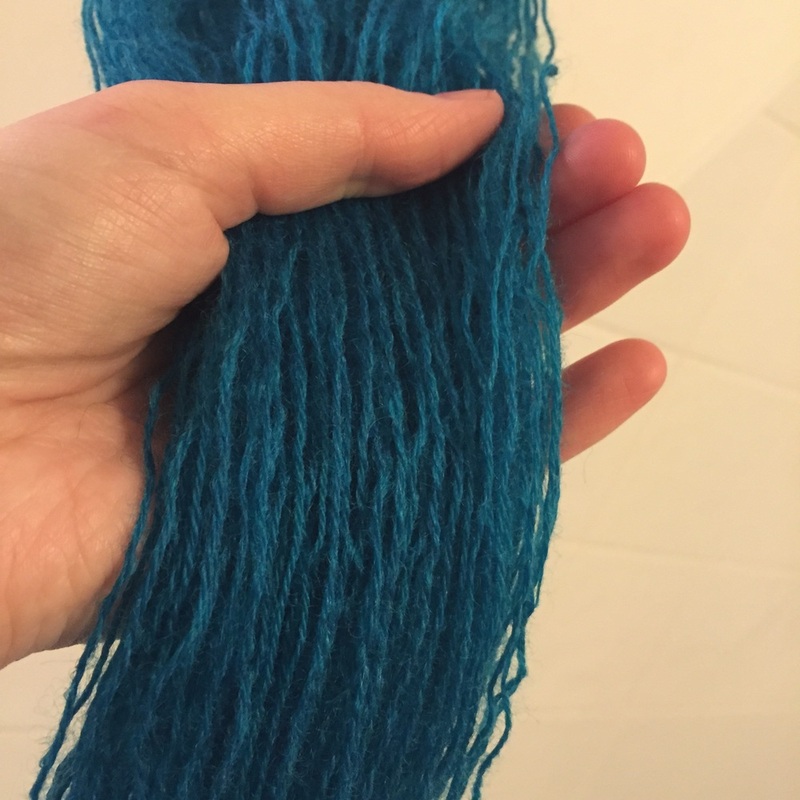 Using 0.8g of turquoise dye for 75g (approx) of BFL (I think- I spun this up ages ago and can't actually remember if it's BFL or Corridale). This is like alchemy. And several hours later, after slow boiling, adding more vinegar, slow cooling and careful rinsing, turquoise has been achieved! 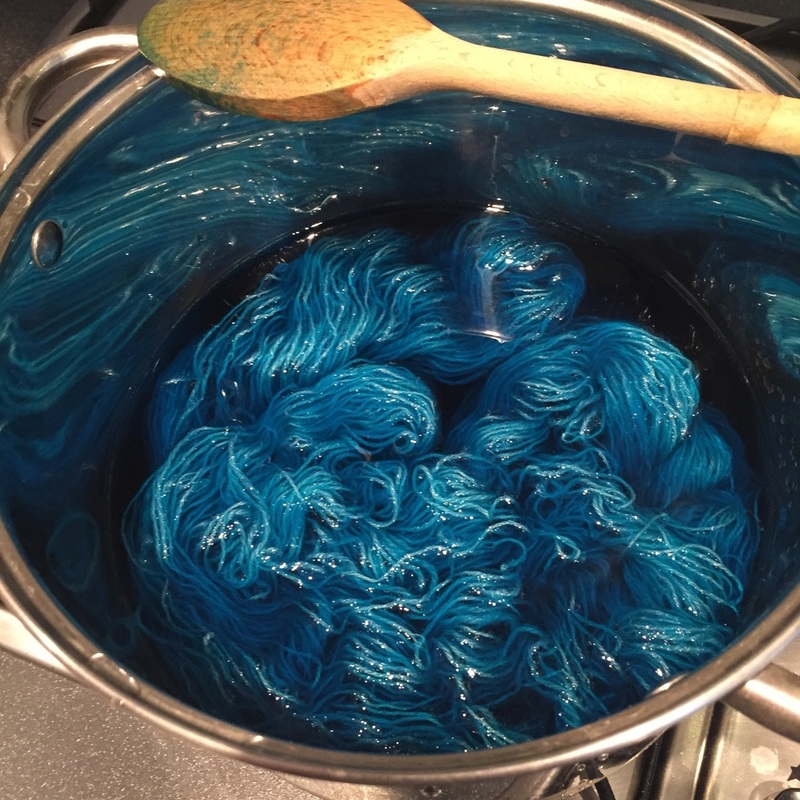 It really is like magic, and this was straight from the dye pot. Next time I'll add a little grey and we'll see what happens!